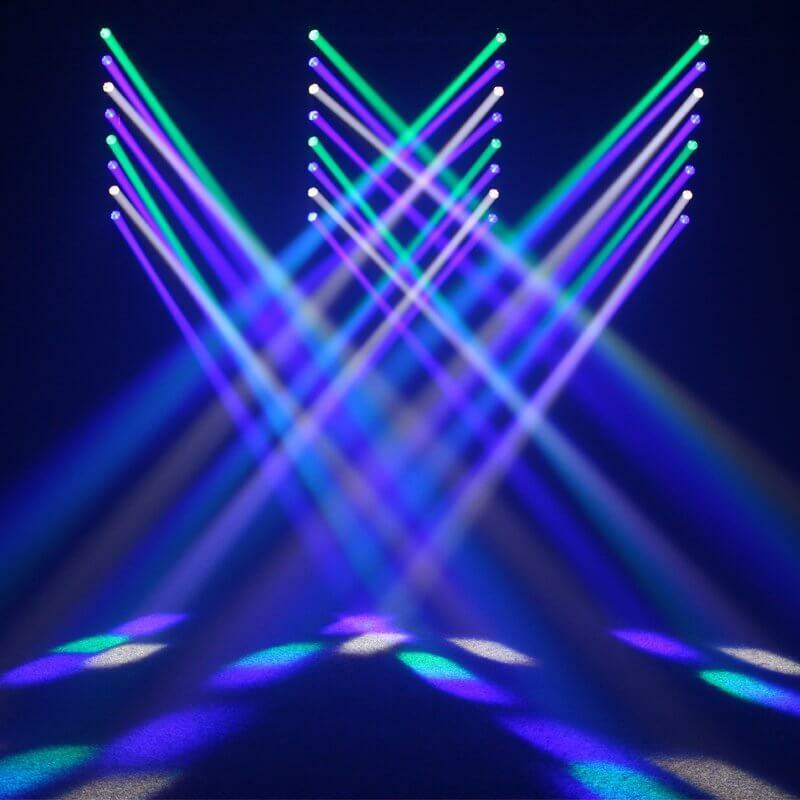 The Swing Batten is a dynamic multi-beam effect dispensing eight intense, long-throw beams generated by the 10W CREE quad-colour LEDs. 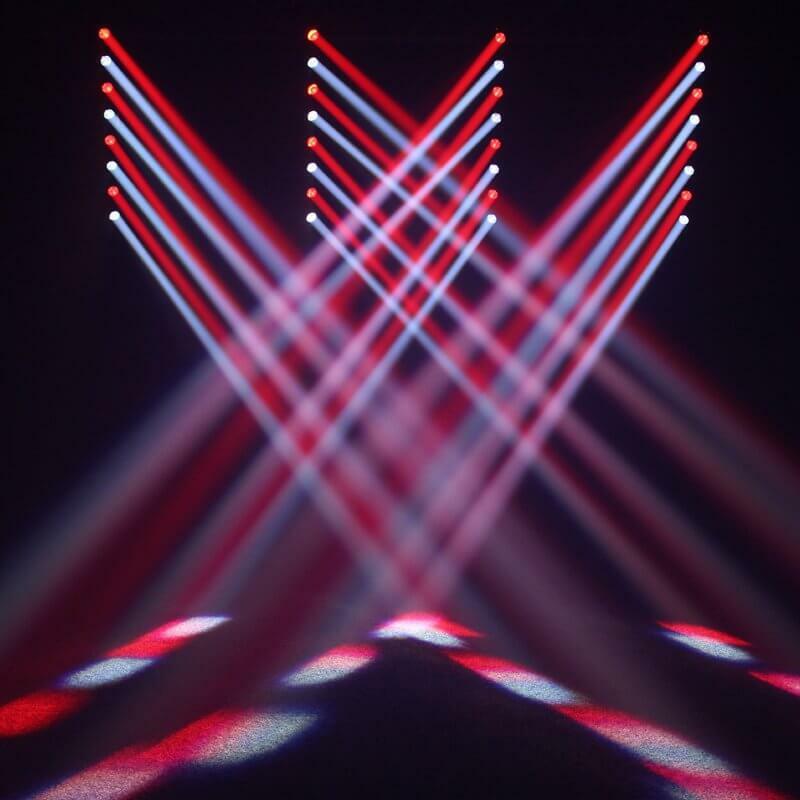 The batten cuts through haze with ease producing stunning beam effects. 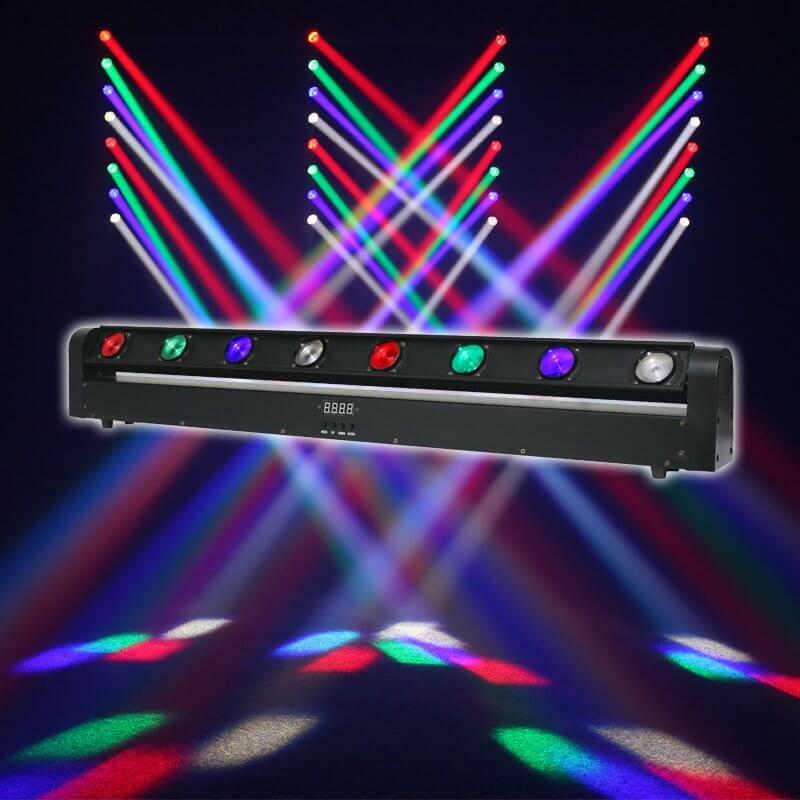 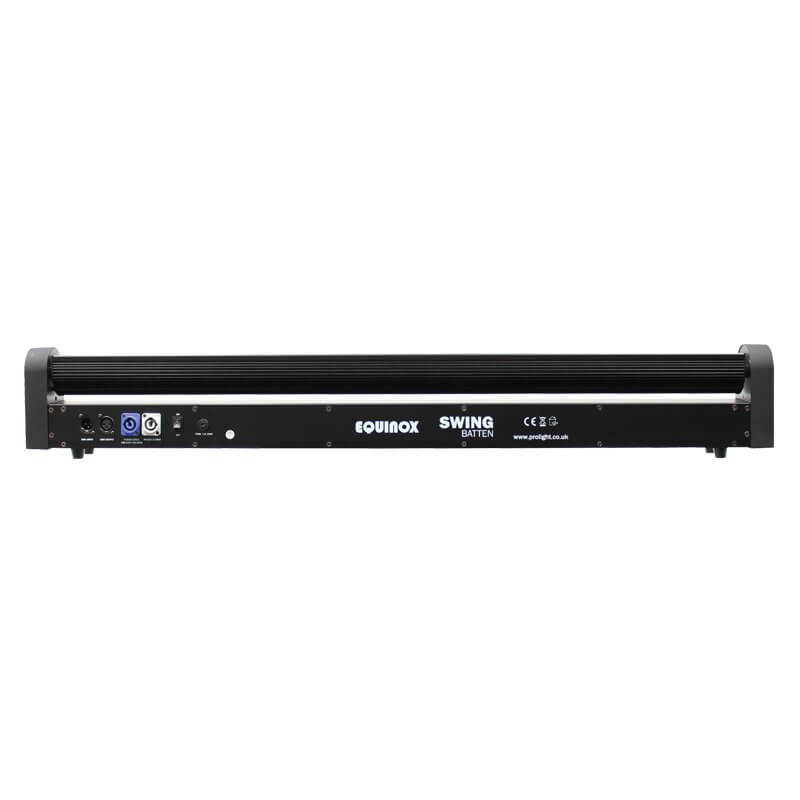 The 4 button menu system allows control of master/slave functions, and the fixture can be also be operated in sound active and DMX modes.